The Social Security Administration does regard age as a factor in deciding whether to approve or disapprove a disability claim. The SSA Bluebook contains a list of medical conditions that automatically qualifies applicants seeking Social Security disability benefits. However, applicants will need to meet specific criteria assigned to their medical problem, such as length of time they have been under a doctor’s care, if treatment has improved their condition and if they are unable to work because of their health issue. Why Is It Harder for People Under 50 to Get Approved for Social Security Disability? People under 50 years old applying for disability who do not meet all requirements for a medical condition listed in the Blue Book are frequently turned down because the SSA realizes it is easier for younger individuals to adjust to different or new forms of employment. Although there is no fixed disability age, the SSA imposes less strict guidelines for applicants over 50 years of age. What are Social Security Disability Vocational Guidelines? Medical-vocational grid rules established by the SSA are designed to favor people between 50 and 55 filing a disability claim. If you are over 50, can only perform sedentary work and do not possess skills that can be transferred to other types of employment, you will likely be approved. 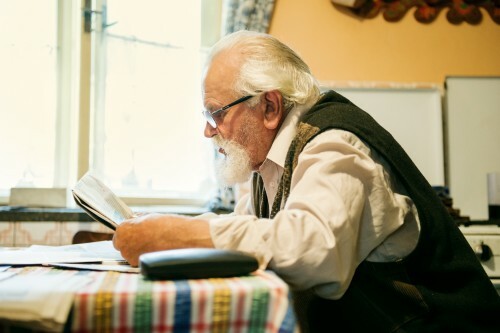 The SSA does not expect those over 50 to spend a lot of time undergoing retraining (vocational adjustment) to learn how to do sedentary work when they are considered to be approaching an “advanced” age. How is Age a Factor When Children File a Disability Claim? Parents filing a disability claim for a child under 18 years old will have the claim evaluated by SSA officials who will determine whether the impairment results in severe and marked functional limitations. The SSA has a different list of medical impairments applicable to children only which does not involve the medical-vocational grid rules. Regardless of age, getting approved for disability time-consuming and complicated. To streamline and expedite the process, contact a disability lawyer today at Fred London Law.